Where to stay for the 2019 Monaco Grand Prix on May 23-26. Don’t hang around, the best places sell out months ahead of race weekend. Support F1Destinations by reserving your accommodation through the Booking.com links on this page. You won’t pay more and we receive a small commission. We also recommend adding accommodation to your Official Ticket Package from F1 Experiences. Staying in Monaco itself for the Grand Prix is out of reach for most fans, but nearby Nice is a good compromise. This stunning city has accommodation to suit all budgets and is just a short train ride from Monaco. Speaking of trains, you can also easily reach Monaco from Menton to the east or even over the border in the Italian Riviera. Transport in and out of Monaco over the race weekend is frequent, with cheap options by rail and road. There are only a handful of hotels within the principality, most of which are in high demand and priced accordingly on Grand Prix weekend. Luckily there are some equally good hotels at more reasonable prices across the hill in Fontvieille. Located in the center of the Grand Prix circuit overlooking Monaco harbor, just a six minute walk from Monte Carlo casino. Each room has a private dressing room and whirlpool bathtub. Official Ticket Packages for the 2019 Monaco Grand Prix include grandstand seats or VIP hospitality in the Champions Club plus unique benefits such as driver meet and greets. You can also add a luxury hotel stay to your package in Nice or Monaco. Want to go all out? F1 Experiences also offers luxury yacht cabin accommodation on the harbor! 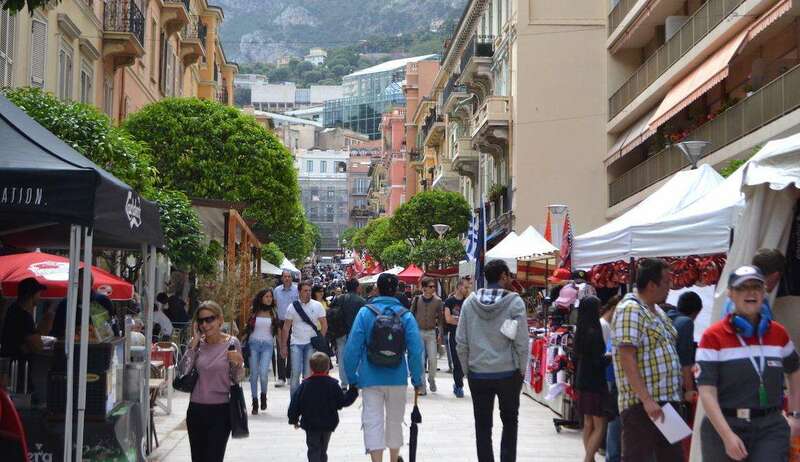 The atmosphere in Nice is vibrant on Grand Prix weekend. 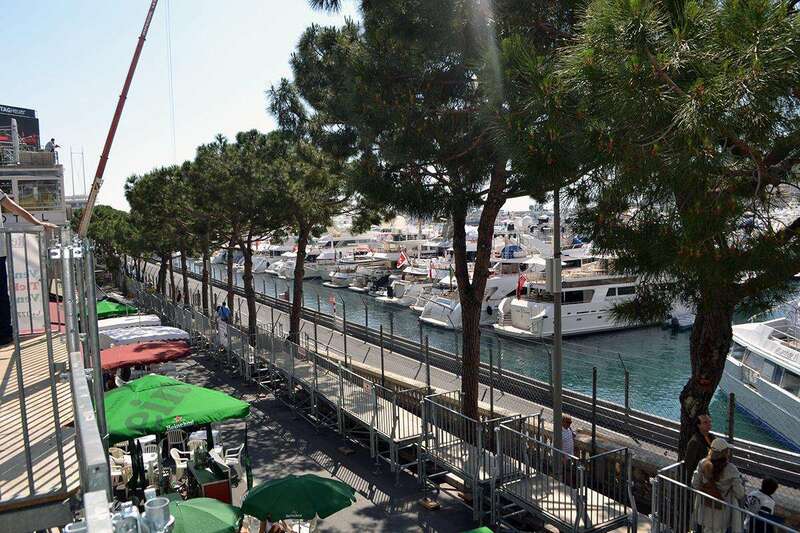 You won’t feel like you’re missing out by not being in Monaco, because the die-hard F1 fans stay here! If you have a little more time to spare, we highly recommend Nice as a tourist spot in its own right. With a beautiful old town, stunning beaches and more gardens, galleries and cathedrals than you can shake a stick at, it’s worth taking an extra few days to explore the city and surrounds. 100 metres from the beach, some rooms with views of the Musée Des Beaux Arts. There are towns small and large dotted along the Mediterranean cost near Monaco, both on the French side and the Italian side. Menton (pictured above) is a pretty village just 10km east of Monaco. A little further away, the first town on the Italian side is Ventimiglia (and Sanremo is not too much further). You will find lots of F1 fans in these towns on Grand Prix weekend, and there are trains and buses to get you to the circuit. Prices are also significantly lower than in Nice. Finally, don’t discount camping just because it’s the Monaco Grand Prix. You will also find some beautiful campgrounds along the coast with good access to Monaco-bound trains. Read our European F1 Camping Guide for more information. 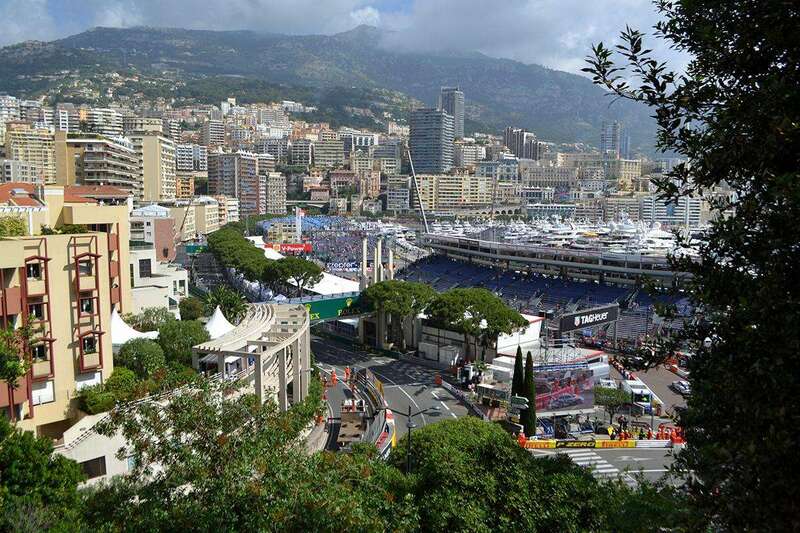 Where do you stay for the Monaco Grand Prix? Leave a comment!